If you're addicted to books, when you think of popping in your headphones while you run, clean, or work out, chances are, you already have an audiobook or two lined up for every occasion. You can knock out another book from your ever-growing TBR pile, finish the book everyone's been talking about, and check another title off your reading challenge list, all from the comfort of, well, anywhere! But since it's a brand new year, and we're currently all about resolutions, trying new things, and in general bettering ourselves, why not try something new? Audiobooks are amazing, for sure, but they can be pretty long. Instead, why not give a listen to one of the many bookish podcasts out there? It's like a book club you can attend in your pajamas, or from your desk at work. Trust me, you'll love it. Or, maybe the time between new Serial updates is too long for you, and you need a new podcast to pass the time. No matter what the reason, there's a literary podcast out there for you. 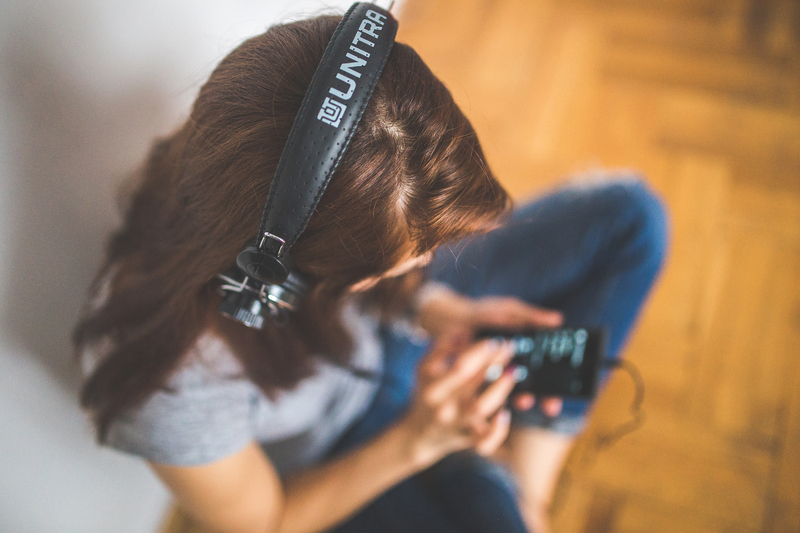 From sc-fi readers to self-help diehards, here are seven podcasts bookworms will love. Rider Strong, Julia Pistell, and Tod Goldberg make up the best book club you've never had. Their bi-weekly book discussions feature games, hilarious tangents, and some really good insights into fiction and nonfiction topics. A book club you can join without ever leaving your home, Literary Disco is a personal favorite, and a favorite among other book-lovers, as well! This one might be fiction, but the amazing writing and delivery will feel so real, you won't be able to help bingeing on this one! Limetown tells the story of, you guessed it, Limetown, a town in Tennessee that pops up as part of a neurology experiment. But one night, a mysterious 911 call leaves respondents baffled: When they arrive on the scene, nothing, and no one, remains. As addictive as Serial and as well-written as your favorite novel, Limetown is a must listen for sci-fi fans, and really, anyone who loves a good story. If you love a good mystery, from Sherlock Holmes to Agatha Christie, you'll fall in love with Gimlet Media's Mystery Show podcast. Hosted by Starlee Kine, a wannabe sleuth, every episode features the hunt for answers to clues. Answers that you can't just Google, or look up on Wikipedia. Like, why does Jake Gyllenhaal always appear to be a different height? Why was Britney Spears spotted reading a completely unknown book? If you're already wondering that these answers are, or how someone could possible answer these questions, Mystery Show is for you. Unsolved takes an in depth look at a mystery that has confounded investigators for over 40 years. In 1976, John Zera disappeared. He was found eight days later, dead. But who killed him and why remain unknown, even today. If Serial captivated you, and you're constantly reaching for your next true crime book, Unsolved will pull you in immediately. Readers are always learning something new: nonfiction readers especially. If you love seeing things from a new perspective, are always on the hunt for a new fun fact, or just want to take a break some from your usually listening, Hidden Brain will help you look at humans and their behaviors in completely new ways. Despite their love for all things fictional, most readers know one thing to be true: that Truth is stranger (and often, scarier) than fiction. Lore proves this sentiment a hundred times over, with every 20-minute episode. Featuring true stories of folklore, urban legends, and creepy stories, Lore is perfect for fans of the horror genre, or anyone who grew up loving Scary Stories to Tell in the Dark. When it comes to self-help, there are seemingly endless Cheryl Strayed quotes to help you feel better at any given time. Tiny Beautiful Things compiled the answers to some pretty heavy questions, but Strayed didn't stop there. Together with Steve Almond, Strayed once again takes questions and concerns from listeners, and gives her trademark advice on how to handle the situation. A must for Cheryl Strayed fans and self-help readers alike!